« NFL Rumors: Are the Indianapolis Colts Interested in Randy Moss? Jim Irsay will have to wait until after this season until his star franchise quarterback Peyton Manning will get his new deal, according to the Associated Press. The Indianapolis Colts’ quarterback looks to become the highest-paid player in NFL history. Irsay said he was set to give Manning his contract during the team’s bye week, but Manning and his agent insisted that they will have the deal done after the season. Nice sign of unselfishness, don’t you think? Manning’s deal will expire after this season. Irsay hopes that Manning is a Colt for the rest of his career. Manning will make his 199th career start tonight against the Houston Texans, hoping to get revenge on them at home after an embarrassing lost at Houston, led by Arian Foster. Whoever wins this game takes control of the AFC South division. Manning is the only four-time MVP in the league. The Colts look to franchise-tag Manning if necessary. But it might not happen, since Manning will get his maxed-out contract. 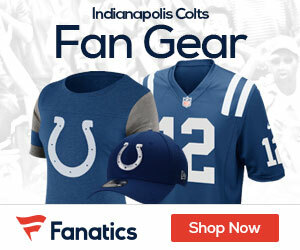 The Colts look to sign much higher than New England Patriots’ quarterback Tom Brady’s recent contract, which was a four-year $48.5 million contract extension. Manning will get his contract, but the question of what time? “During the season, Peyton wants his only focus to be on preparing for football games,” agent Tom Condon told The Associated Press. The only thing that could mess up the contract is the CBA. A new collective bargaining agreement stands in the way. But Condon doens’t see anything slowing down the contract. “It’s probably not any more or any less difficult because of that,” Condon said.